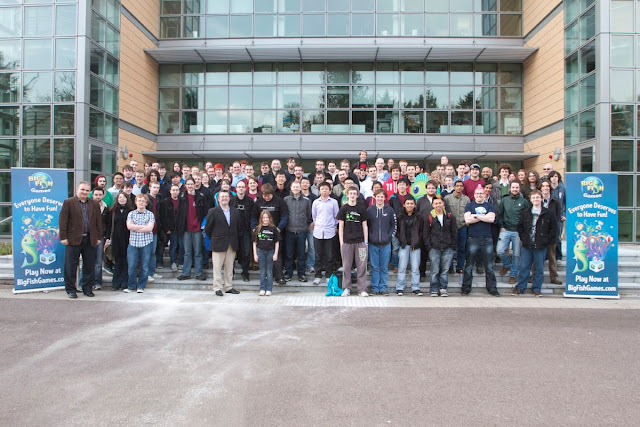 On Friday 23rd March myself and three of our Computer Science Undergrads set off on a visit to Cork, Ireland to take part in the IrlCPC Programming Competition. 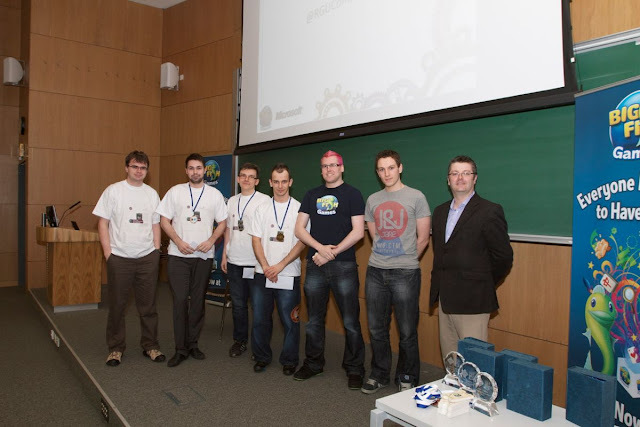 The competition, now in its third year was hosted by the UCC ACM Student Chapter at the Department of Computer Science, Western Gateway Building, University College Cork. In total about 30 teams took part across two categories Undergrad & Staff/Postgrad. We began by meeting up at Aberdeen Airport around 11:30 on the Friday morning to catch the 13:00hrs flight to Dublin, touching down around 14:30. From there we got the 747 bus into the city centre arriving at the central bus station just after 15:40. After grabbing a takeaway sandwich or two we boarded the 16:00 bus to Cork. The 260km or so journey took about 4.5 hours, thereby arriving in Cork around 20:30. We took a short stroll from the bus station at Parnell Place down Patrick Street (the main street), along Grand Parade, and out the Western Road to just before the main gates of the University, arriving at our B&B around 21:00. After dropping off our bags we then went on a short night-time walk down to see the Western Gateway Building, and then on towards the heart of the campus to see the Quad with its night-time lighting, Honan Plaza, the Honan Chapel & the Student Centre as well as the O’Reilly Building and the Library. It was interesting to see that the library was quite busy (specifically the area known as the “Fish Tank”) with people even thought it was around 22:30 on a Friday evening. The competition day itself began with registration at 10:00, followed by a practice session about an hour later, then it was time for a spot of lunch before the competition itself commenced at 13:30. The competition featured eight questions to be completed in a four-hour period. The teams had to work on the problems without the aid of their coaches, therefore the coaches had four hours with which to catch up on the essentials like email, take some photos around the building & tweet about how things were going. Around three hours into the competition I heard that the RGU team had just taken the lead, so I was able to get a photograph of the leaderboard (which can be seen below). The competition concluded around 17:30, and all the participants made their way outside for a group photograph, after which we all headed back inside to one of the lecture theatres for some short talks and the handing out of the prizes. The award ceremony drew to a close around 18:30 & everybody parted ways, with many of the teams heading directly back to places such as Limerick & Dublin. The night was still young however, so after grabbing a bite to eat & heading back to our B&B we went out to meet up with about 30 or so of the other competitors at one of the local bars often frequented by those at the University – the Mardyke. Unlike most bars, the Mardyke has quite a selection of various games dotted about, including chess, checkers, pool, table tennis & a number of others. All in all everybody had a great time and everybody made the most of what turned out to be a very long day of programming and partying. Competitions like this are a great way to exercise ones programming skills & I am sure that we all look forward to seeing more opportunities like this to take part in. 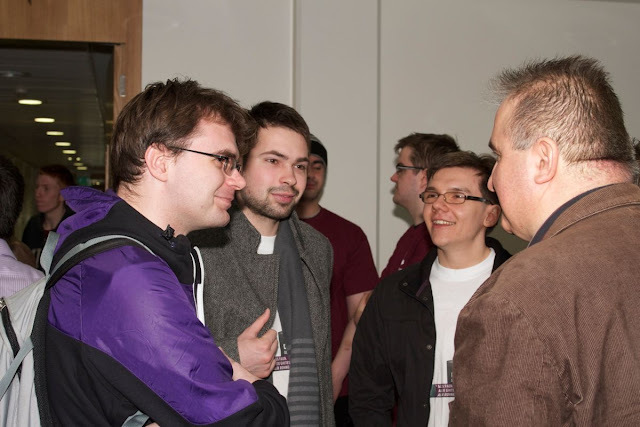 I should also say that RGU School of Computing team were very happy with achieving second place in the competition. 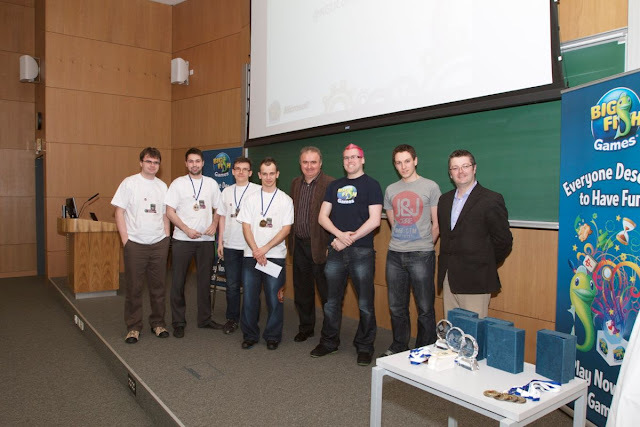 The winning team of the undergrad category “DIT Champions” had also won the competition the year before & had been in training for quite some time before the event. Further details of the scores should become available in the coming days. Most of the photographs below were taken by myself on the day, but a few of them were taken by the events photographer Helmut Simonis who posted the photographs he took of the competition on the following site.